The perfect breakfast for cosy, Fall mornings. 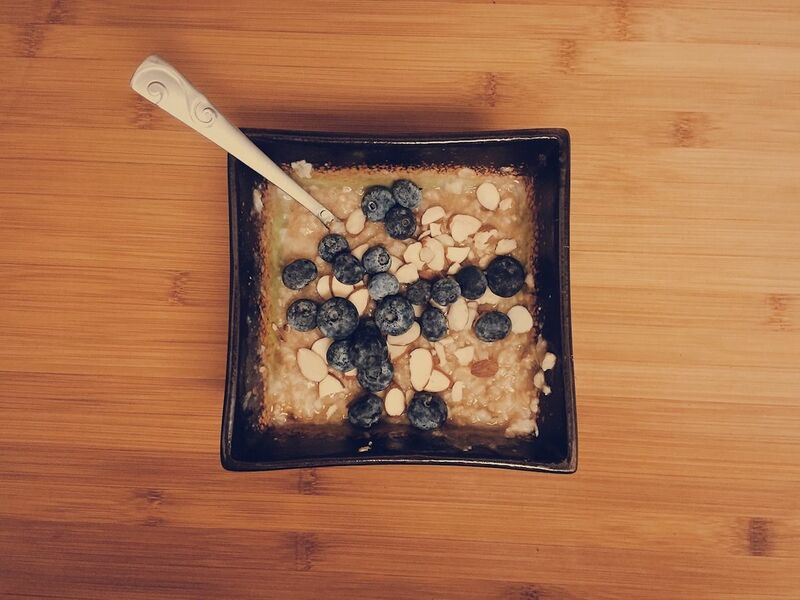 Warm grain-free cinnamon spice n'oatmeal packed with healthy fats, fiber, and protein. Fall is right around the corner, which means out with the salads and in with the comfort food. Say hello to warming spices, heat, and heartiness. There’s nothing better than waking up on a slightly chilly weekend morning with a warm bowl of deliciousness, still in PJs and reading a good book curled up on the sofa. For those of you whose stomachs can tolerate oats, organic oatmeal is considered a healthy and delicious choice for breakfast. However, not all of us feel so great eating a big bowl of grains in the morning (myself included). This cinnamon baked n'oatmeal recipe is comforting, sweet, and delicious like traditional oatmeal, but without the grains and added sugar. It makes for a lovely Fall breakfast packed with healthy fats, fiber, and protein. Lightly grease ramekins with coconut oil. In a food processor, blend your bananas, applesauce, nut milk, eggs, vanilla, almond butter, cinnamon and salt until smooth. Add in the coconut flour and baking powder and mix until well incorporated. Add your sunflower seeds and cranberries (optional) and blend very briefly, keeping some texture to the mixture. Pour into ramekins and bake for 30 minutes. Remove from the oven and add toppings if you'd like! I love sliced banana, blueberries, almond butter, or chopped nuts on top.